Roy originally started working as a professional medium on the Spiritual church platforms in the South East, where he continues to be in great demand for his schedule, which is always planned over a year ahead. He has and does work across many Spiritual churches in and around London including Acton, Amersham, Aylesbury, Barnes, Camberley, Chertsey, Ealing, Farnham, Finchley, Fleet, Fulham, Garston, Harrow, Hounslow, Kenton, London Spirit Mission, Maidenhead, Reading, Ruislip, Slough, Windsor and Woking. 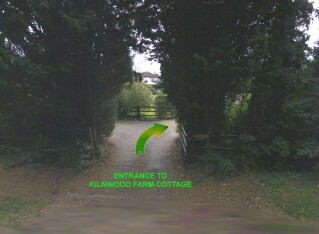 Roy also offers personal sittings and healing at his home in Buckinghamshire. He has a warm and inclusive style providing sound evidence and clear messages in all of his spiritual sittings. Roy's personable approach ensures that his visitors feel relaxed and secure whilst he brings forward sound evidence and clear messages. The peaceful and serene setting of his home only enhances the special atmosphere. The death of a loved one is an event that all of us will experience during our lifetime and our lives can often be transformed by such loss. Dealing with the grief caused by such a loss can be central to recovery, especially with someone young or in the case of an unexpected or sudden parting. A Psychic Sitting with Roy gives you the opportunity to hear from your loved ones and family thus, in some way, reducing the pain of the earthly loss. It gives us strength to know our loved ones have not left us for good but are merely "in the next room". It can also be hugely powerful to have messages passed to us through a direct channel such as the medium, Roy Sunley. Roy has been a Natural Healer since childhood and uses his innate gift in all his healing work. After a highly successful and senior corporate career, Roy was compelled to explore his natural abilities to heal and facilitate positive change in people's lives. He therefore took a bold step out of the commercial world and transported himself into a world where he is truly able to help and support people who can benefit from his healing approach. He is a Reiki Practitioner and Reiki Master Teacher who uniquely combines the art of Natural Healing and Reiki with the powerful techniques of "Quantum Touch®" (QT), (where he is also a QT Practitioner and Certified Instructor) to achieve remarkable healing outcomes for his clients. He also teaches Reiki and Quantum Touch to professional therapists and to people who are interested in learning the highly beneficial practice of self healing. Roy is a full member of the College of Psychic Studies. He spends a great deal of time researching new modalities of healing and working with other healers to ensure he is always using the most effective methods available. Roy also holds a Diploma in Mindfulness, Meditation and Relaxation and teaches "Learning to create balance and harmony through the ancient art of mindfulness". These courses bring about inner peace and emotional harmony and enhance your experiences on a day to day basis with colleagues, family and friends. 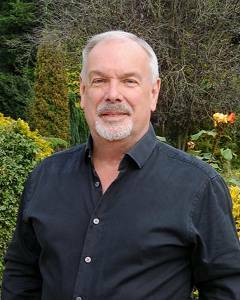 He also works closely in his practice with his wife Sharon who is a qualified Quantum Touch Practitioner, Master Practitioner of NLP and Time Line Therapy and a Chartered Fellow of the Institute of Personnel & Development. Roy is also a practising psychic and medium. For more information about his upcoming appearances at Spiritualist centres and churches in the South East, please see the diary page To make an appointment for a personal sitting, get in touch by phone or email. Roy is a very popular medium who is guaranteed to attract people to our church, whether it is on a Sunday evening or a Thursday evening. Roy's name on our program ensures people will arrive in droves." Roy's love of Spirit shines through every fibre of his being. When on the rostrum, he is confident of his Spirit Guides; his belief and trust in Spirit is not only well founded but is also a joy to behold. He presents- both on and off the rostrum - as a caring man but also as a man who would, and does, do everything he can to help the Church and Spirit (and, although I speak only of our Church, I have been told it is something he practises in all Churches) and he is also very willing to talk with members of the congregation after the service and they all love this and clamour to talk with him! His love of people is palpable and a joy to behold.